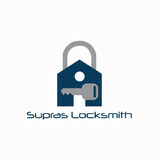 No matter how big or small the job, Supras Locksmith is committed to 100% client satisfaction. Expertly trained, experienced and professional technicians handle every job. Our staff can confidently explain any and all “ins and outs” of even the most complex and advanced security systems. Our employees have been trained to repair and upgrade all existing systems, and provide prompt service with a smile. Maintenance of your home or office keeps things operating their best and prevents major problems. But it’s difficult to to find the time to do the odd jobs or small tasks yourself. It’s here that Handyman services are most helpful to people with a hectic schedule or without knowledge or skills of fixing or maintaining aspects of the home or office. Handyman at your service is the one stop solution to all your handyman issues in New York City. Professional Handyman Service in New York Looking for a affordable and professional handyman service in new york? Handyman at your service is the right place where expert professionals understand your requirements and deliver the quality service on best price and exact time. 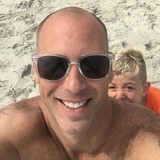 An overview of our client testimonials highlights the supreme handyman service being provided in the New York region. We are always ready to support your home or business 24 hours a day, 7 days a week, 52 weeks a year. We have proudly been serving our clients since 2009. Our aim has always been to provide a professional, friendly and reliable handyman and property maintenance service at very reasonable rates for all of our customers. We strive to provide affordable, "worry-free" living for seniors and "hassle-free" living for busy adults by taking complete care of the inside and outside of their homes. We provide customized and affordable services including maid services, household repairs and yard work …even emergency repairs and seasonal projects. Our goal is to eliminate the worries, hassles and headaches of home maintenance and to provide full-service, trustworthy house care services to fit any budget. One company, one contact - one simple and convenient solution.